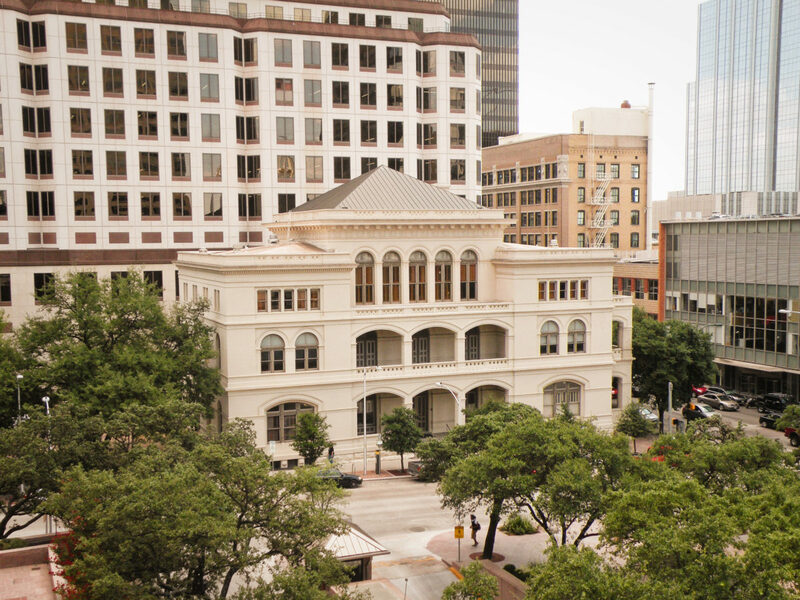 The Old Post Office and Federal Building, now known as O. Henry Hall, graces the corner of 6th and Colorado in the heart of downtown Austin. Its architecture was inspired by Italian Renaissance palaces like the Roman Villa Borghese and later designs exemplified by the Ecole des Beaux Arts, using simplified forms. The building was designed during Reconstruction by the prolific architect James G. Hill, of the federal Treasury Department. When restored by the University of Texas Systems Office in 1971 it was renamed O. Henry Hall, for William Sidney Porter. Author of works such as “The Gift of the Magi’, Porter was tried for embezzlement at the Courthouse at the turn of the 20th century. While the influences of style are likened to grand structures in Rome and New York, O. Henry Hall took on the simplicity of “Austin” style in architecture. The building was recently acquired by Texas State University Systems, who plans to restore the grand structure. O’Connell Architecture is serving as the Historic Preservation Consultant for the phased restoration of O. Henry Hall in association with The Lawrence Group. Tere performed a comprehensive window-by-window survey of the building to assist in planning the restoration of the wood windows, along with an evaluation of the exterior masonry. Restoration is scheduled to begin in September, 2017.